Hey there! I am teaming up with a group of bloggers today to showcase an inexpensive gift idea for anyone on your Holiday list. 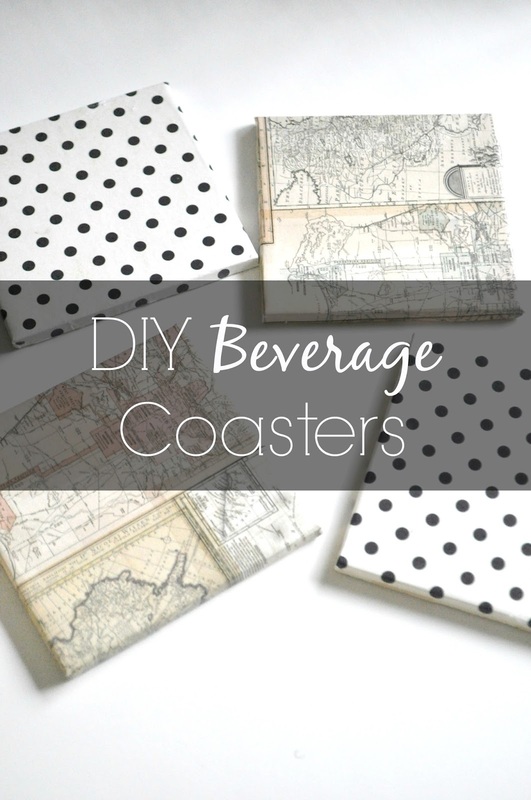 These quick and easy beverage coasters are easy to do and require just a few items to complete. Plus I spent less than $4 for all of the supplies. 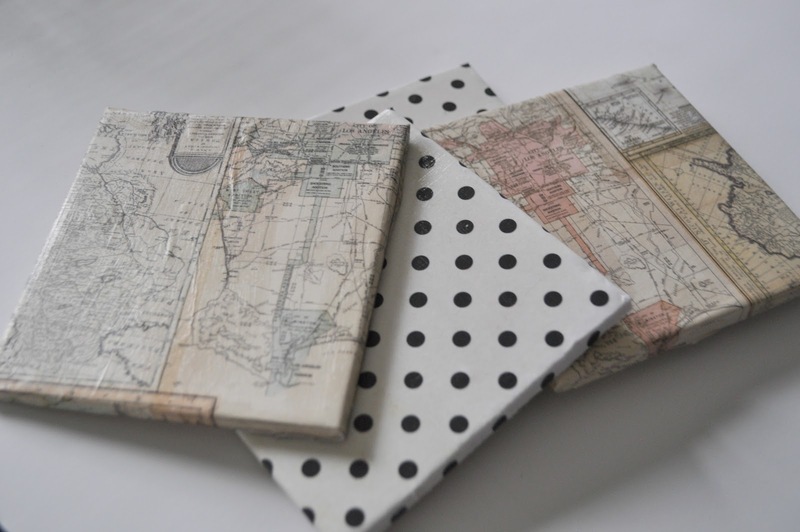 The perfect budget-friendly gift option! then apply the scrapbook paper on top, making sure it goes on smooth with no air bubbles. 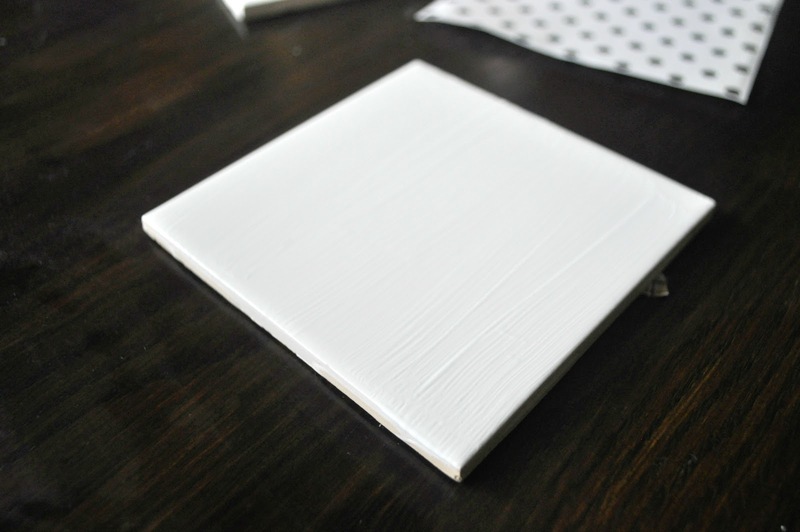 Once the paper is applied, add another layer of Mod Podge on top of the paper using the sponge brush. Repeat these steps for each tile. Let dry overnight. 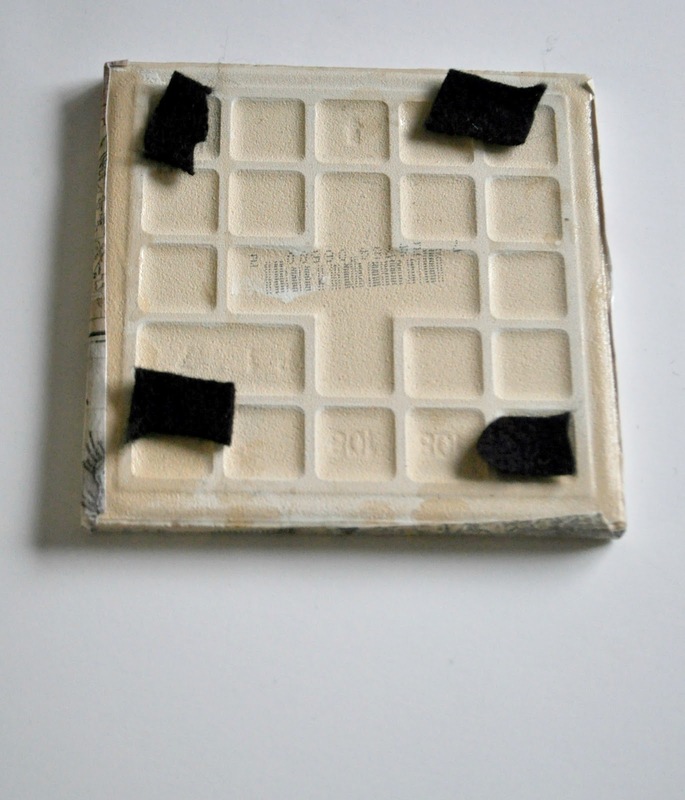 Cut out small squares of felt and glue to the bottom the tile so that when it is used, it will have a soft bottom to rest on, and not straight glass. Next, set with Polycrylic so that you are able to actually put them to use and they are sealed from water damage. An wa la! 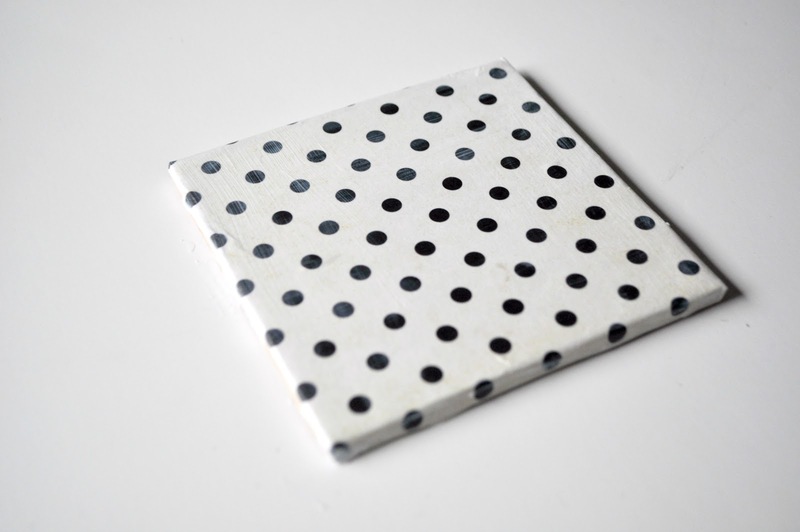 Cute coasters that can make any gift receiver happy! There are other wonderful bloggers participating in this Holiday round-up so be sure to check them out! As always, I am so thankful for you guys! 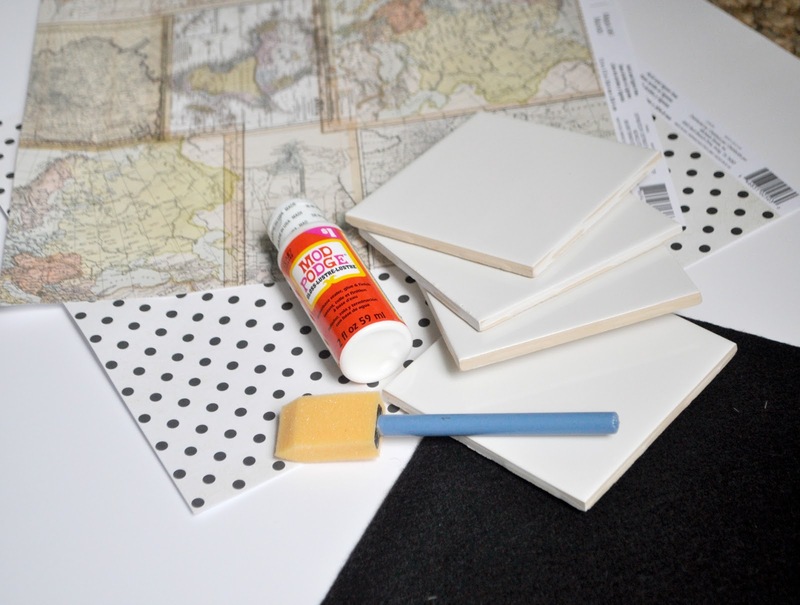 Do you think you will trying this easy project? They turned out great, premium quality, and are very functional if I may say so myself. Such a great craft idea! They make such cute gifts!! Erin, this is such a cute DIY! I agree with Brandi it would make such cute gift, especially paired with some glasses or cups. LOVE! 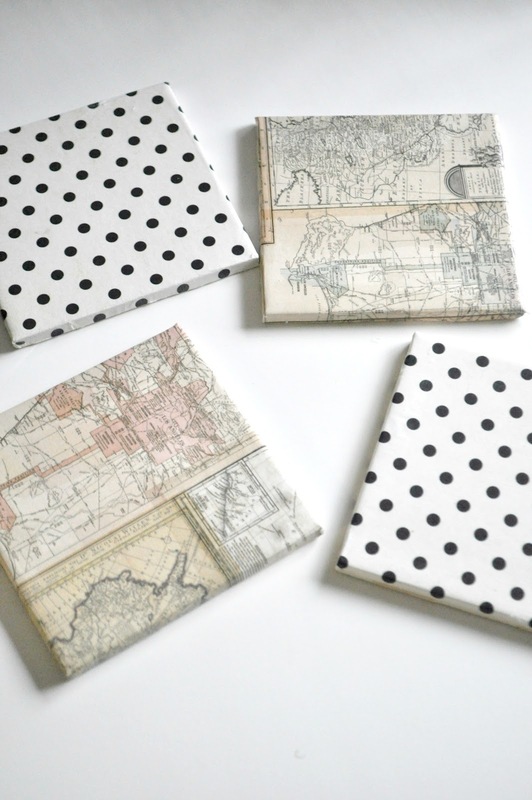 I like your combo of polka dots with the map. I would have never thought to mix the two, it's perfect :-). Adorable! I loved the mix of patterns!